If you filled out the 2010 Census form from the U.S. Census Bureau, then you had a part in defining the centroid -- the point where the center of the U.S. population falls. 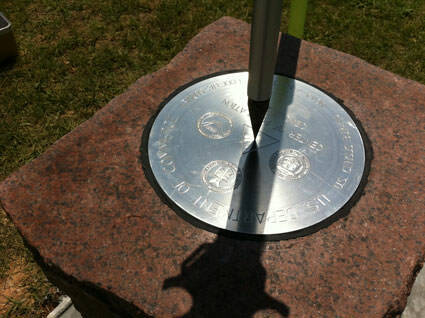 Every 10 years, after the Census Bureau crunches the numbers and figures out where the centroid is, NOAA's National Geodetic Survey places a geodetic survey disk (also called a survey marker, monument, or bench mark) in the incorporated community closest to its exact geographic location. For the 2010 Census, the centroid is located in Plato, Missouri.